How the mainstream media is undermining a president and dividing a nation. It’s irrational; some might even find it incredulous when you think about it. But in a nation divided by politics, culture, and hate it might be disconcerting, but not at all surprising. History reveals that most presidents were not above criticism and rebuke, and at times it could be quite harsh. Personal insults, threats to their lives, vituperation; the men who hold the office of the leader of the free world must be strong and capable of withstanding the slings and arrows of outrageous fortune. With the election of Donald Trump, however, a monster was unleashed on America; a creature filled with rage and hostility and willing to destroy anything in its path, its own country included. I speak of the haters and never-Trump minions who have proven they are beyond rational thought and wander in a land they no longer recognize, in a miasmic state of disarray and desolation. 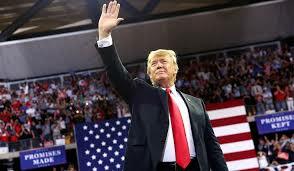 The fact is that this president's detractors are hoping for failure and at times have a more positive reaction toward our allies and competitors on the world stage, going so far as to give them the benefit of the doubt over their own president; some have even gone so far as to give some measure of credence and understanding toward America's enemies. We find many of these creatures in politics, the media in all its disturbing and partisan manifestations, in the entertainment industry, and professional sports. These institutions each harbor their fair share of rage-filled reprobates who have no compunction to temper their irrational and oftentimes fitful outbursts and insults toward the President of the United States, even when on foreign soil. What occurred before and in the aftermath of the summit in Singapore is an example of how the media and punditry have covered this historic and momentous event. In a recent Fox News debate a liberal Democrat could not bring himself to show any support for the president but did divert the discussion to the G7 summit in Canada and his praise of Prime Minister Trudeau. A recent headline in the Boston Post read “Trump has never faced an adversary like Kim Jong-un.” I’m certain a worldly Mr. Trump, who over forty years in the real estate building industry, has sat across the table from a hardened adversary. The often controversial talk show host HBO’s Bill Maher hoped that the economy would fail and that this would cause voters to reject Republicans in November and the president in 2020. It might even allow for further discussion of impeachment. Maher did say he regrets that many of the American people would suffer, but in his perverted and oftentimes vulgar mind, it was for the good of the country. On MSNBC and CNN, discussions centered on how the president was ill-prepared and will capitulate, and that Kim Jong-un would get the better of him. Some even cast both Mr. Trump and Un as dictators. There was widespread agreement, and outrage, by most of the anti-Trump media at the sight of both the American and North Korean flags side by side. On CNN some of these kooks even criticized the menu at the summit. In a local tabloid, the two-page article had a title “Thumbs Up For Evil” that was accompanied by a photo of president Trump giving Kim Jong-un a thumbs up while both were smiling. By now many of us have witnessed the vulgar and highly disrespectful outburst of Robert De Niro at the Tony Awards. De Niro in a moment of selfish, contemptible, and unbridled lunacy decided, as a preface to his speech, the first words out his filthy mouth would be “F*** Trump,” followed up once again with “F*** Trump.” What made this moment even more disturbing was that the entirety of the assembled gave this aged jackass a standing ovation. De Niro stole the night from the award winners, and his disgraceful behavior hung like a dark shadow over the evening’s events. Even in the days following, the news was mostly about his outburst. How many times can we speak or write about the war against President Trump? The answer I believe, regrettably, is too many times. But because the left in America, especially in the media, has devolved into nothing more than a cadre of bad actors reading from a “B” movie script that sometimes meanders the periphery of the truth, but is mostly a story of fiction usually about how hatred can suppress unbiased reporting, substance, and journalistic integrity. Their invective and disrespect of this president goes beyond all boundaries and is served up to the American people with reckless abandon.